Dr. Kollis is an optometric physician with experience in primary eye care, ocular disease management and contact lens fitting. She is a graduate of The College of New Jersey, where she received a bachelor degree in Biology. She earned an additional bachelor's degree in visual sciences, and her Doctorate with high honors from Nova Southeastern University in Fort Lauderdale, FL. While at NSU, she completed externships at Aker Kasten Eye Center in Boca Raton, FL and Eye Centers of South Florida in Miami, FL. She worked closely with distinguished specialists in glaucoma, retina, cornea, cataract and plastics. She has extensive experience in ocular disease management, primary eye care and contact lens fitting. Throughout her career in private practice, she has focused on the diagnosis and management of ocular disease such as glaucoma, diabetic eye care and disease of the cornea. Dr. Kollis is board certified in South Carolina, New Jersey, Florida and New York. She is a member of the American Optometric Association and the South Carolina Optometric Physicians Association. She is fluent in Greek and Spanish. Dr. Kollis now resides in South Carolina and has made the Palmetto State her home with her husband. In her spare time, she enjoys traveling, gourmet cooking and spending time with family and friends. Dr. Jeff Magun comes to us from Columbia, SC. He received his degree from the Pennsylvania College of Optometry and has been practicing since 1969. He is very active in the American Academy of Optometry. He joined our office in early 2017. Dr. Magun is currently accepting new patients. He is currently seeing patients on Tuesdays and Thursdays. Here's a fun fact: he holds the Second Degree Black Belt in American Freestyle Karate! He is married to Dedy and has a son named Jared and a daughter named Frances. He also has two granddaughters - Gabi, age 14 and Zoe, age 9. Billy is a SC Licensed Optician in Opticianry and Contact Lens Dispensing. Billy has over 40 years experience in the fitting/dispensing of spectacles and contact lenses. 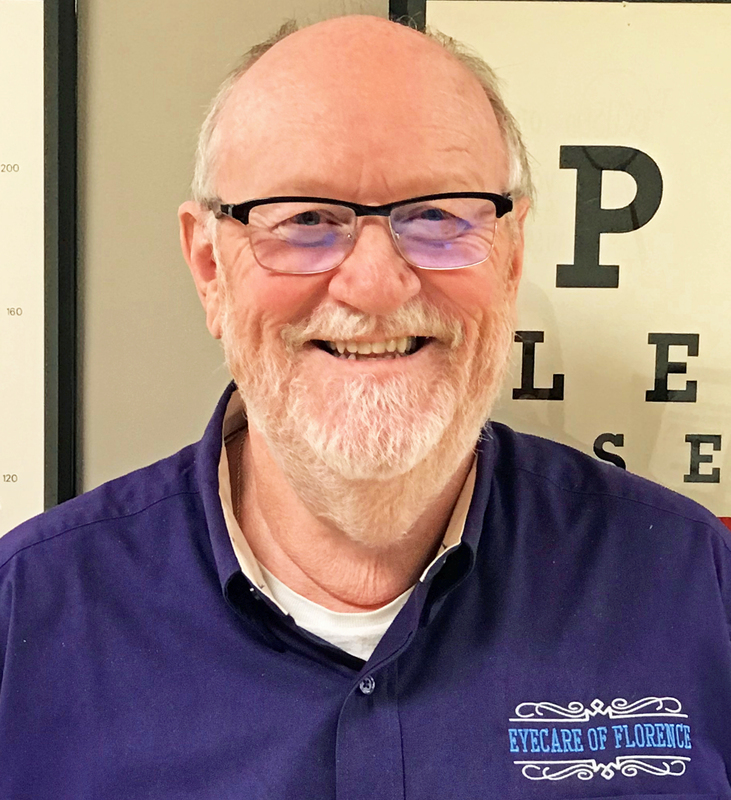 Billy attends annual Continuing Education to keep up with the latest products and is a member of The SC Association of Opticians and a Fellow National Academy of Opticianry. Past member Contact Lens Society of America and American Board of Opticianry. Billy began with American Optical in 1973 as an Apprentice Optician requiring 4 years of training in an Optical Laboratory. He received his SC Opticians License in 1978 and SC Contact Lens Dispensing License in 1979. Billy also has over 10 years working experience as an Optician in the field of Ophthalmology. Billy founded Eyecare of Florence in 1993 along with Dr. Ronald C. Locklear (deceased 2015). Billy is married to Debbie(Matthews)for 42 years, has 3 sons, 2 daughter-in-laws ,1 granddaughter (Lucy Matthews Isgett), 1 grandson (Hayden James Isgett), 3 granddogs and one grandhorse. He and Debbie attend Hoffmeyer Road Baptist Church.